Home / News / News / Moth Yarnbomb Takes Hold! 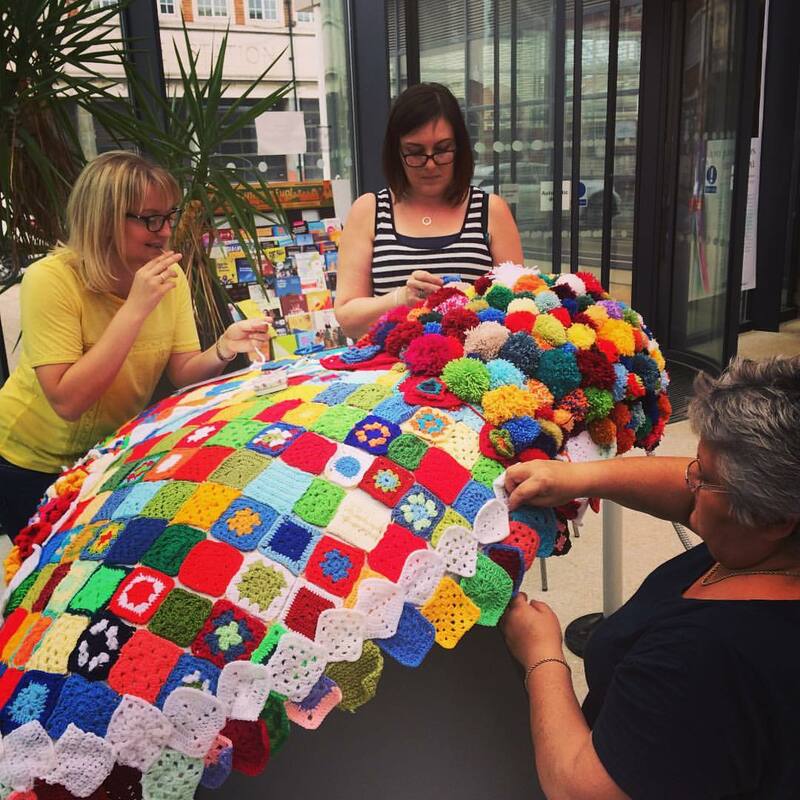 You might have noticed something a little different about our Aviatrix Moth down at Hull History Centre today – she’s been well and truly yarnbombed by those cheeky ninjas at The Little Wicker Basket and we think she looks amazing! If you’re not entirely sure what yarnbombing is, well, it’s a kind of non-permenant graffiti with knitting. It’s all about bringing colour to the streets, and everything from trees and lampposts to street signs and buses has been attacked with knitting needles since the craze took hold. Pop down and see how Aviatrix looks in her new yarnbombed guise – and take a look at all the other wonderful creations those champion yarners at The Little Wicker Basket have to offer at www.insharee.com/un/thelittlewickerbasket.